Cathryn McIntyre is the author of two unusual memoirs, the recently published, The Thoreau Whisperer: Channeling the Spirit of Henry David Thoreau (2018), and Honor in Concord: Seeking Spirit in Literary Concord (2008), and the founder of The Concord Writer, a literary and publishing concern, dedicated to the words, wisdom and enduring spirit of Henry David Thoreau (www.theconcordwriter.com). 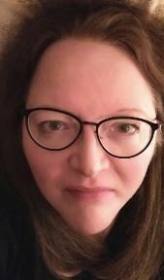 She is also a natural psychic and clairvoyant, a UFO experiencer and a sometime ghost investigator whose blog about a ghostly experience in Maine led to her story being included in a book by Greg Latimer entitled Ghosts of the Boothbay Region. Her UFO experiences led to her connection with a group of experiencers who worked closely with alien abduction researcher, Dr. John Mack. She has a large and ever-increasing following on Twitter and LinkedIn. McIntyre has studied the literary history of Concord, Massachusetts for over 25 years, both in university settings and independently. She holds a B.A. in English literature from Michigan State University; has done graduate work at Harvard University’s Extension School and Lesley University in Cambridge, Massachusetts; and is a long-time member of The Thoreau Society. She has lived in or near Concord, Massachusetts since 1984.